Sept. 7, 2016 - NASA's OSIRIS-REx mission plans to return a sample of asteroid Bennu to Earth in 2023 so that scientists can study pristine material left over from the early solar system. With a small chance that Bennu could impact Earth late in the 22nd century, the mission will also allow scientists to study how gravity and thermal forces can alter an asteroid's orbit, helping them predict where Bennu will be in the future. Asteroid Bennu is a fascinating object. It records our solar system's earliest history, contains information about the origins of life, and has uncertainties in its orbit that leaves a small possibility of impacting Earth late in the twenty-second century. These properties make Bennu the perfect target for NASA's OSIRIS-REx asteroid sample return mission. It's a great adventure to explore an unknown world. We're going to reach out and touch it, and then we're going to bring treasure back to Earth for scientific analysis. To me it doesn't get any more exciting than that. There is a huge scientific payoff of delivering a sample of asteroid Bennu directly into the hands of scientists. We want to understand the origin of the Earth, the origin of the Moon, the other terrestrial planets, but the earliest histories of those bodies is wiped out. The asteroids record the earliest stages of the solar system. So it really is a time capsule from the very dawn of the history of our solar system. My dream is that we find something that's unique, that's not represented in our meteorite collections, and is really organic-rich material on the surface of this asteroid that holds all kinds of scientific treasures about the origin of life and organic molecular evolution in the solar system. In addition to the planetary science, sending a spacecraft to asteroid Bennu will let us better understand the orbit of this near-Earth object. Bennu is four to five thousand times more massive than the meteor that exploded above Chelyabinsk, Russia in 2013, and there's a small chance that Bennu could hit us late in the next century, depending on how its orbit evolves. In order to accurately predict its future orbital evolution, we have to not only understand the force of gravity, but thermal forces on the asteroid can significantly alter its future path. So we're going to study not only the thermal emission coming off of Bennu, but we're also going to build up a global model to make sure we understand the theory that underlies this, so that we can use it to accurately predict where Bennu's going to be in the future and apply it to other potentially hazardous asteroids to really help us understand the impact hazard. 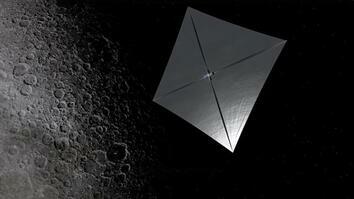 OSIRIS-REx will launch in September 2016 and arrive at asteroid Bennu in 2018. Once the team is ready, they will use the Touch-and-Go Sample Acquisition Mechanism, TAG-SAM, to grab a sample off the surface. We have a unique design where we put this TAG-SAM device onto the surface of the asteroid, and then we blow down high-pressure nitrogen gas to kind of agitate the soil and then basically scoop it up in a giant air filter. That whole process takes five seconds, so it's kind of get in, get the sample, and get out of there. There's good reason to think this approach will work. 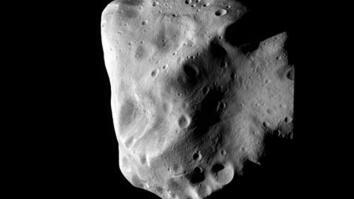 One of the challenges of sampling an asteroid is navigating in a low-gravity environment. And with so little gravity, objects have a tendency to bounce. Our design is to bounce off the surface of the asteroid. In fact we've got a spring in the forearm of our TAG-SAM device which is acting literally like a pogo stick to push us off the surface of the asteroid after we make that initial contact. So from everything that I've seen, trying to bounce off the surface of the asteroid is the easiest way to get that material. Once OSIRIS-REx delivers the asteroid sample to Earth in 2023, it will have brought back the largest sample of an extraterrestrial body since the Apollo missions, and like the moon rocks from Apollo, the sample will be studied for decades to come with ever increasing technology. 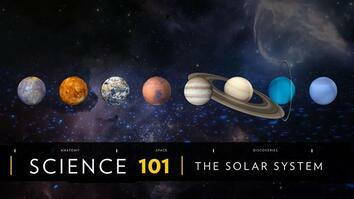 This is really a treasure of information about the history of our solar system, and will not only solve the scientific questions that we're asking today, but those that people will be asking for many generations into the future.